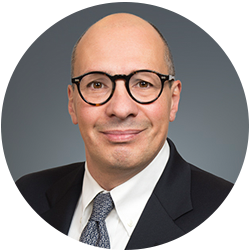 Lambros is a senior member of Lloyd's List editorial team, based in New York with a primary focus on US capital markets and publicly traded shipping companies. Lambros has covered several high-profile investigative stories including the bankruptcies of Global Maritime Investments, Daichi Chuo and Hanjin Shipping. He has also authored several feature articles on preferred securities, exchange-traded debt, and master limited partnerships, and corporate governance issues. He is a creative force behind Lloyd’s List Companies project, which provides one-stop news, analysis, and financial performance for US-listed companies, and a regular contributor for monthly print magazine The Intelligence. Lambros has been a speaker and moderator in industry forums including Mare Forum, the Hellenic & Norwegian Joint Shipping Conference in New York, NYMAR, and the Connecticut Maritime Association. He joined Informa Maritime Intelligence after several years of experience in shipping. Lambros has worked in all facets of the industry, including chartering, brokerage and finance. Prior to joining Informa, he was an independent equity analyst and financial blogger, with a proven track record of earnings forecasts and critically acclaimed articles. Lambros was born and raised in Athens, Greece, and graduated from the National Technical University of Athens with a degree in Naval Architecture and Marine Engineering. He holds an MBA from the University of California at Berkeley, and is certified as a CPA by the State of Illinois. He has proudly volunteered as a firefighter, income tax counselor for the elderly, and election official in his Connecticut hometown. He can also be spotted running during fair-weather weekends.